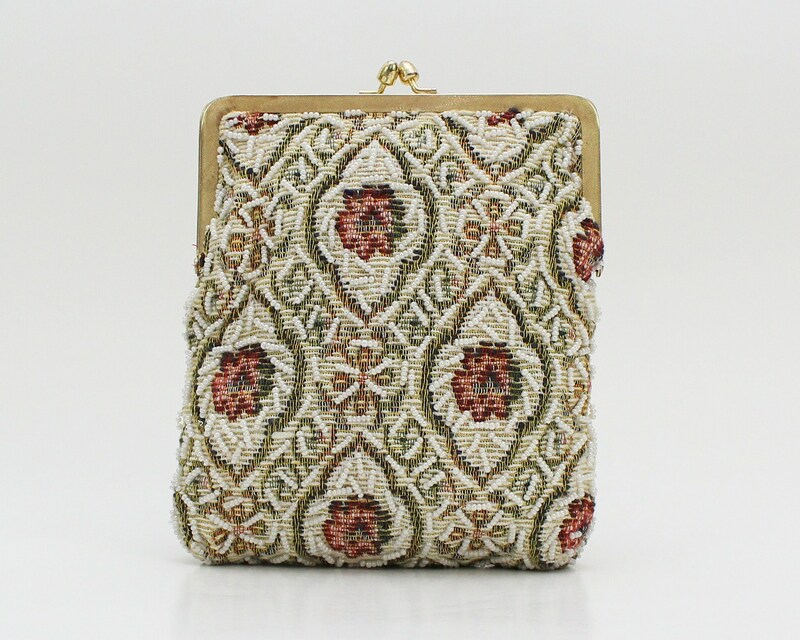 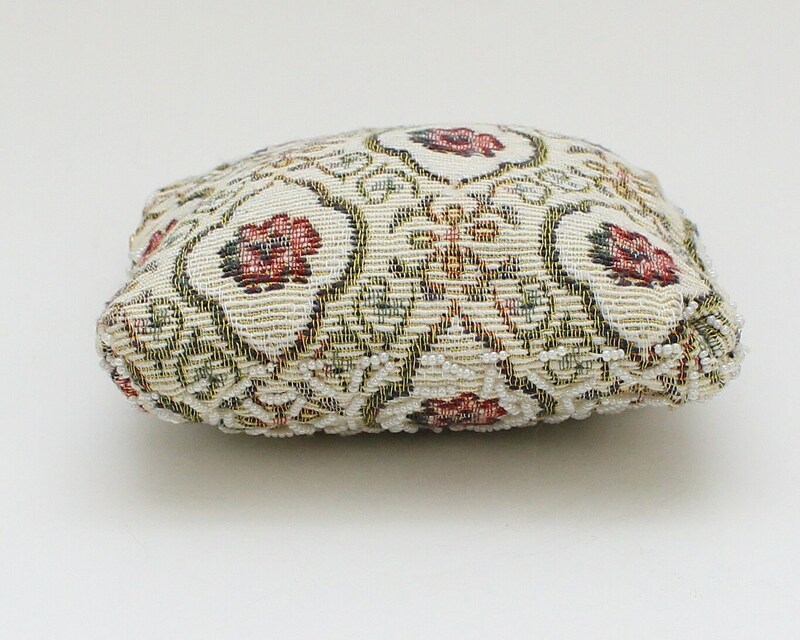 This piece is a traditionally elegant beaded tapestry clutch by Le Jule Hong Kong. 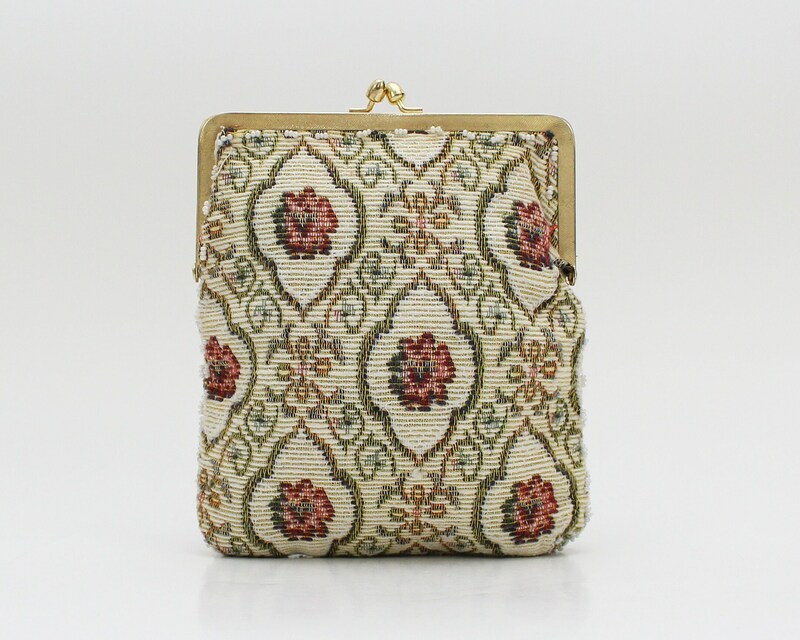 Fully beaded on the front, and accented along the frame on the back, with a perfect condition satin lining. 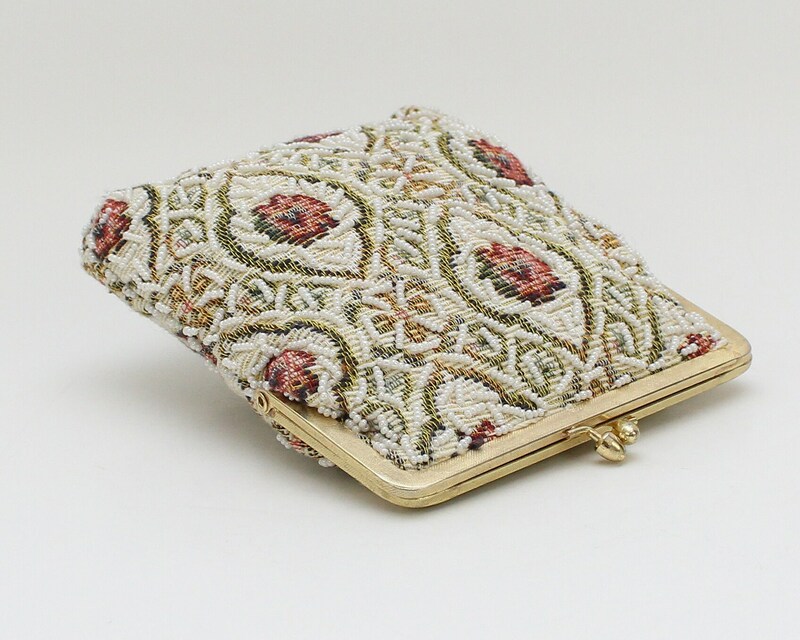 There is a small pocket on the interior and an optional chain strap. 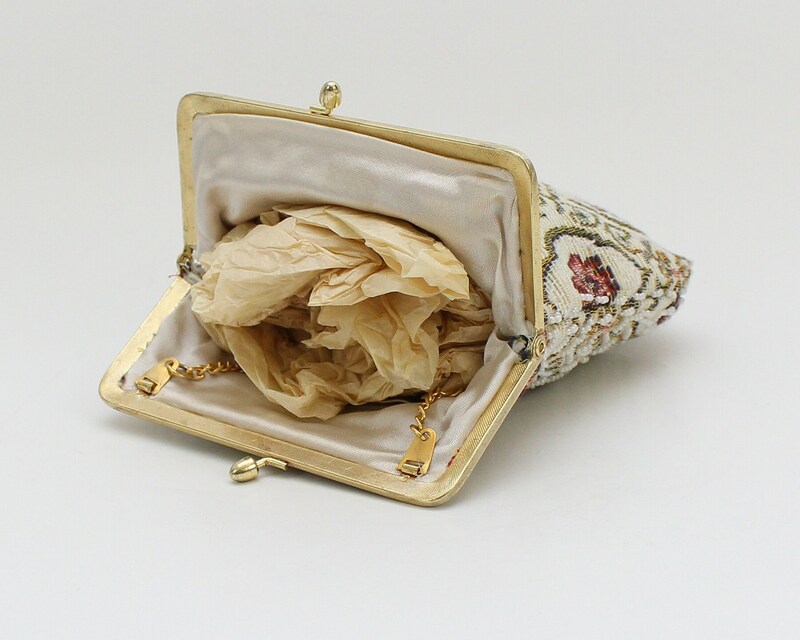 There is some wear to the hardware but otherwise this purse is in great condition (interior chain was broken but has been repaired).